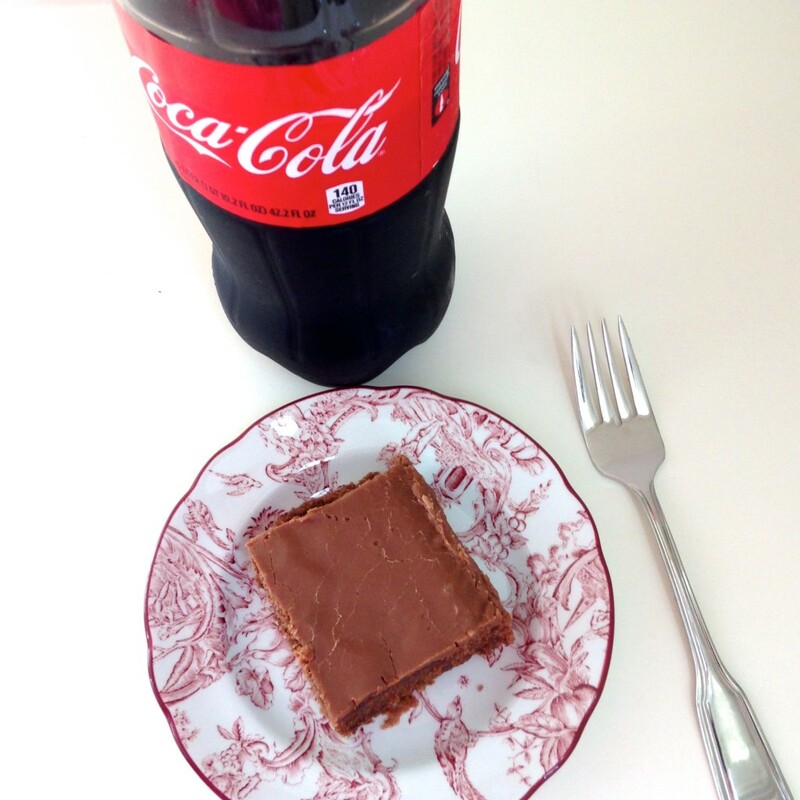 My mom and I have always seen recipes for Coke Cake via Pinterest, blogs, and other magazines, and have been wanting to make one. 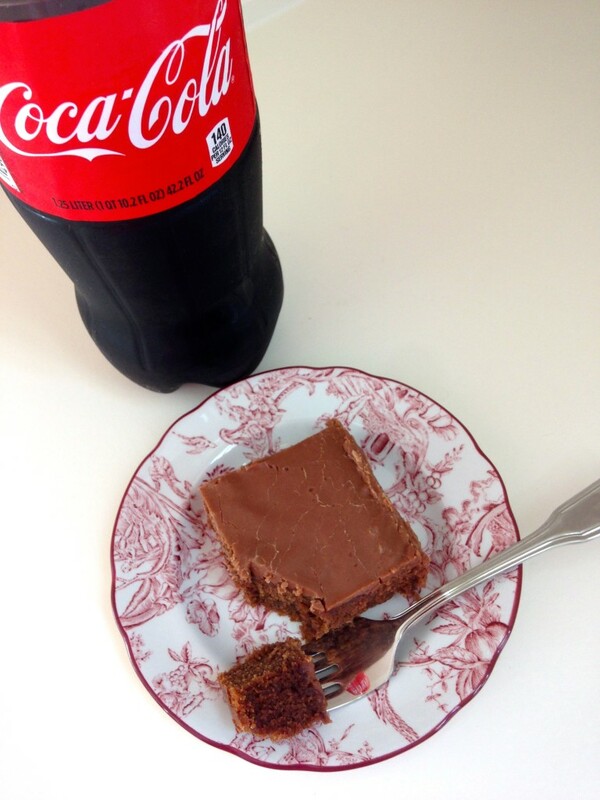 This cake is very similar to Mrs. Kelm’s Chocolate Cake, except you add Coca-Cola in the Coke cake! 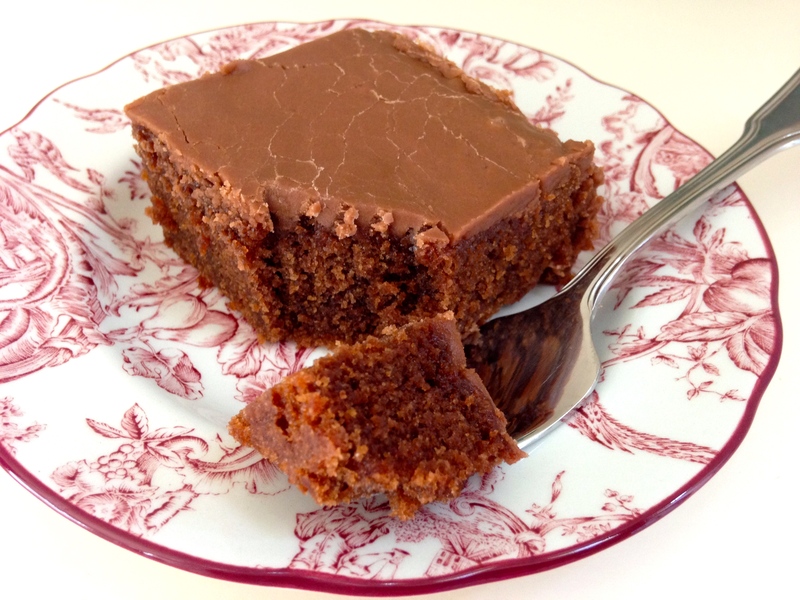 Mrs. Kelm’s is still hands down our favorite chocolate cake, but this cake was still very tasty. It has bit more of a sugary taste than Mrs. Kelm’s due to the Coca-Cola, so that’s good news if you’re a sugarholic! 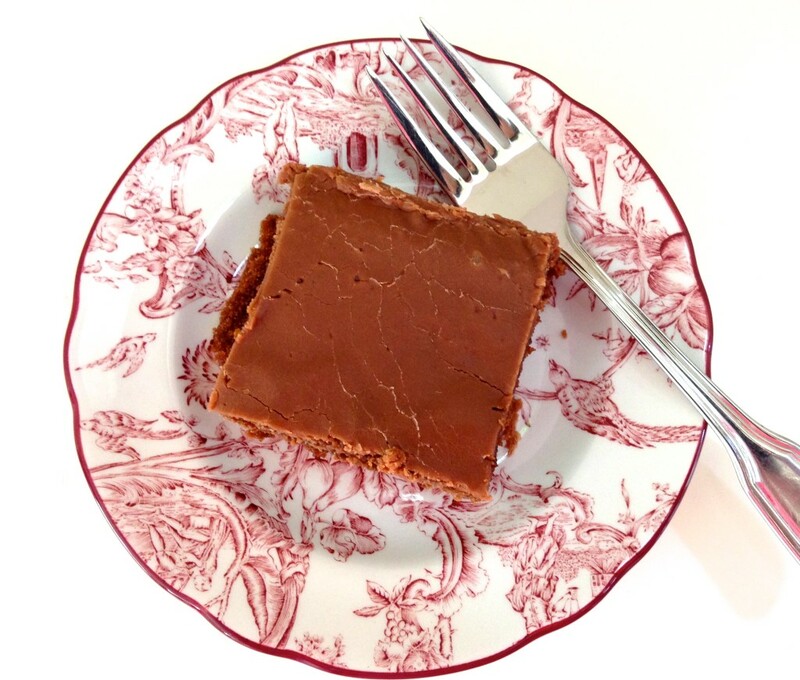 The recipe is super easy to whip up so enjoy! A little history behind Coca-Cola: John Pemberton, an Atlanta druggist first sold his caramel-colored concoction in 1886. Using a three-legged pot, he stirred up his mixture and carried it a few doors down to Jacobs’ Pharmacy where he mixed it with carbonated water. The drugstore began selling the fizzy delight for just 5 cents a glass; and the rest is history. Coke has some of the catchiest advertising slogans in the industry. Which ones do you remember? Harper says “Next time make a Dr. Pepper cake please! !” Lol. 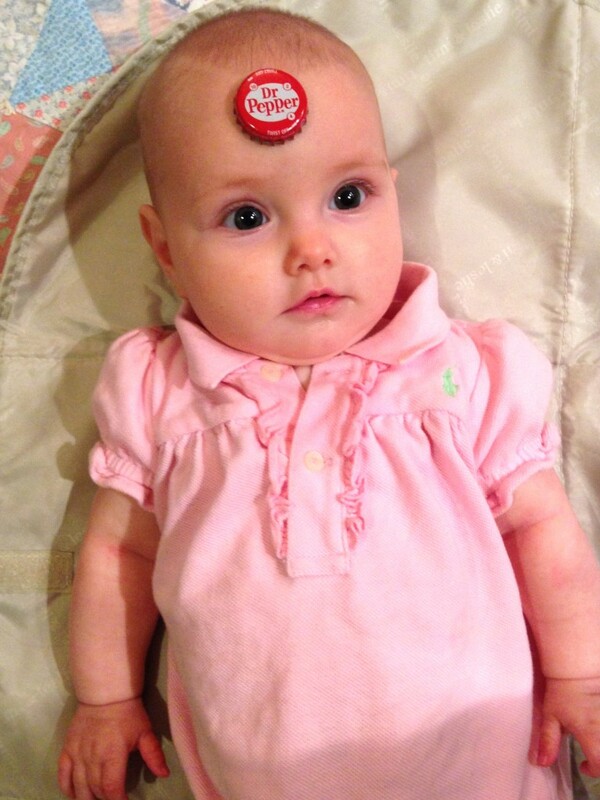 🙂 Harper’s granddad is a huge Coca-Cola fan, but her daddy loves Dr. Pepper! FOR THE CAKE: Preheat oven to 350 degrees F. Grease and flour a 9 x 13-inch baking pan. 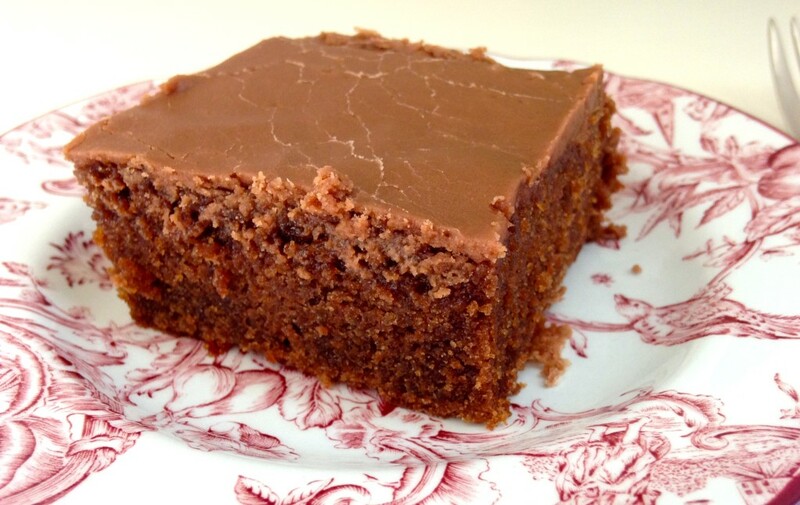 In an electric mixer, whisk together the flour, sugar, baking soda, salt and cinnamon. In a small saucepan, stir together the cola, butter and cocoa powder over medium-high heat and bring to a boil, stirring occasionally. Pour into the flour mixture and stir with a rubber spatula until moistened. In a small bowl, whisk together the eggs, buttermilk and vanilla until blended. Add to the batter, whisking constantly. Pour the batter into the prepared pan and bake until a toothpick inserted into the center comes out clean, 35 to 40 minutes. FOR THE FROSTING: About 5 minutes before the cake is finished, begin the frosting. In a small saucepan, bring the cola, cocoa powder and butter to a boil. Remove from heat. Whisk in the powdered sugar and vanilla until smooth. Pour immediately over the hot cake in an even layer. Leftovers should be covered and stored at room temperature or in the refrigerator for up to 4 days.